Portal 2 is arguably the most popular game on the market right now, and if you have the patience to wait a few days for the game to arrive you can buy the game from Amazon at a 40% discount for just $29.99 for a Mac & PC hybrid installation disk. The price includes free shipping. Portal 2 is a unique first-person Action-Puzzle-Platforming game that tests player’s ability to think and act creatively as they use the game’s ingenious wormhole creating portal gun to produce their own paths through otherwise sealed surfaces and across the open spaces of the game. 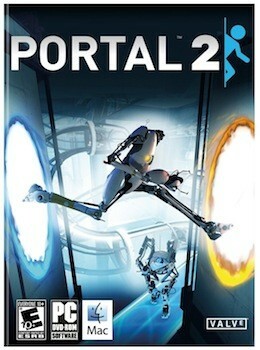 If you’d rather play Portal 2 from your couch, the console versions are also on sale for just $34.99 at the same link. Game on! well i paid only $35 at bestbuy on the day it launched so im happy. If I buy the CD version can I still play with my friends on steam?